"Biological soil crusts" don't look like much. In fact, people often trample right over these dark, or green-tinted, sometimes raised patches in the desert soil. But these scruffy stretches can house delicate ecosystems as varied and complexly interwoven as that of a lush, tropical rainforest. Life forms including bacteria, algae, fungi and lichens, as well as plants such as mosses and liverworts, can band together to create biological soil crusts in dry, nutrient-starved environments. Scientists are just beginning to document the diversity of species that call biological soil crusts home. "These are incredibly diverse microbial communities with hundreds of different organisms," said Jason Raymond, assistant professor in the School of Earth and Space Exploration at Arizona State University. "If you were counting animals in the Amazon, you wouldn't come close to the diversity of these biological soil crusts." Raymond is the senior author of three new papers in the scientific journal Genome Association, which shed light on the microbes that commonly set up shop in biological soil crusts in Utah's Moab Desert. The papers present a genome of three different bacteria. These genomes contain genes known to enable certain biological forms and functions. Identifying these genes therefore speaks to the interplay of these bacteria as they eke out a living in their shared, severe environment. 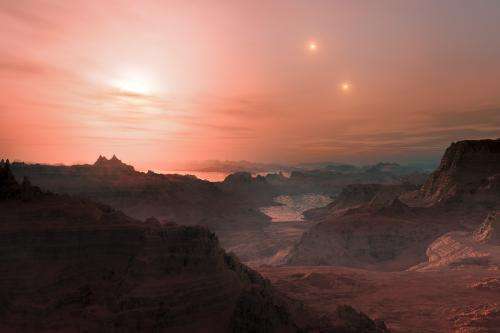 Figuring out how life thrives in biological soil crusts, in conditions that would fell most other life on the planet, will help in gauging the habitability of other worlds. "Biological soil crusts are an outstanding example of nature coping with a really challenging set of environmental conditions," said Raymond. "We're pushing as close as we can to extreme environments on other planets." 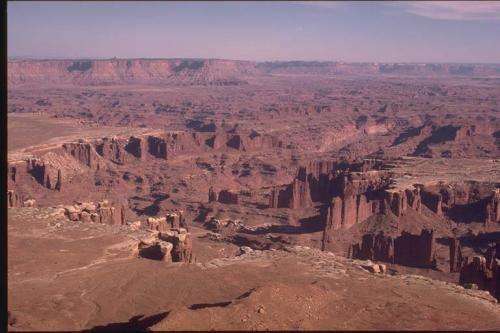 Although the Moab Desert is hot and dry, the biggest challenge for life in its biological soil crusts, as in other such places, is obtaining nutrients—food, essentially. The new studies reveal the array of adaptive tools the microbes possess for ensnaring scarce, vital nutrients and preventing them from leaching away into the environment. In the Moab Desert, carbon and nitrogen are two particularly dear elements. In more hospitable habitats, like a grassland in a temperate climate, carbon—organic matter—is readily available from fallen leaves, dead plants and animals, and so on. Nitrogen is "fixed," or nabbed from the atmosphere by numerous microbes and taken up by plants for subsequent dissemination in the environment. In the Moab, in contrast, not enough plants or animals can survive to keep these two elements widely available for use by other organisms. "If you've been there or seen pictures, you know how barren that landscape is," said Raymond. "In terms of fundamental nutrient availability of carbon and nitrogen, these things are tough to get your hands on when you're in a biological soil crust." To get a bead on understanding how the Moab Desert's microbial critters make do, Raymond and his Arizona State University colleagues obtained samples of biological soil crusts found there. Three microbes grew readily in a growth medium in the lab. The medium, however, was not exactly a smorgasbord. To get by on the available nutrients, the microbes still had to be resourceful and obtain nutrients from the air, such as carbon via carbon dioxide gas, or use one of a small handful of compounds the team supplied in the media. "It was a very minimal media," said Raymond. "If something's growing on there, you know it's able to fix carbon and nitrogen out of the atmosphere, or using one of the specifically chosen carbon and nitrogen compounds we add to the media. Either way, these organisms are very efficient recyclers of organic material." After growing the cultures, the scientists sequenced the genes of the organisms present. Three different species in the Microvirga, Bacillus and Massilia genera stood out. The three species are alike in some ways. For instance, all have genes for making structures such as flagella —whiplike tails—to allow them to get closer to areas with favorable nutrient availability. Once there, all three microbes have genes for producing "biofilms," a tactic of binding together to remain in place. Significant differences in their genetic toolkits exist as well. Each bacterium tries to occupy a niche in the biological soil crust community, in partnership or perhaps even at the occasional expense of its neighbors. The Bacillus strain, for instance, has genes for pumping out what are known as siderophores. These molecules bind readily to iron, for instance, another chemical element that many organisms need to survive. The Microvirga bacterial strain identified by Raymond and colleagues has genes for sucking up siderophores from the environment, but not for making them. It seems that the Microvirga benefits from the Bacillus going to the trouble of sending out siderophores. "The interesting thing is that the Bacillus sends out these little shuttles to hopefully get ahold of iron and bring it back, but there is no guarantee," said Raymond. The Microvirga, in this instance, might well be freeloaders. In other ways, the three species coexist peacefully, particularly when there's no speakable limit to the resource. All three benefit from the general ability to obtain nutrients from the air, which is certainly a "more the merrier" type of situation in a biological soil crust. "There is an incredible efficiency in recycling organic matter so that it doesn't go back into the environment," noted Raymond. 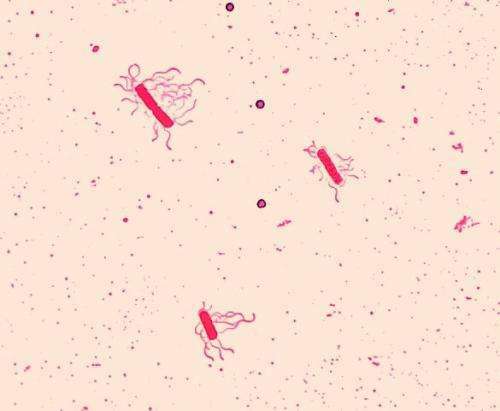 On an individual basis, the bacteria can complement each other. The Massilia, for example, fills a niche by apparently being able to survive in oxygen-free, "anaerobic" conditions. That ability suggests it contributes to the overall community's wellbeing by still retaining nutrients in the shared environment in internal or underground locations sealed off from the outside air. "Each microbe has a specialty and they are complementary," said Raymond. Characterizing all three microbes, Raymond said: "They're sort of the trash compactors of this community. They'll literally grab ahold of any nutrient-rich sources in the environment and try to metabolize it. That's a testament to how limited this environment is." The new studies suggest the high degree to which species living in biological soil crusts rely on their neighbors to play respective parts in nutrient fixation, processing, dead member decomposition, and more. "Nearly every organism in this community is dependent on some other organism's waste product or byproduct," said Raymond. Interdependence at such a high level does leave biological soil crusts vulnerable. Human activity in particular, such as four-wheeling in remote desert environs caked by biological soil crusts, can devastate whole mini-ecosystems, which might take centuries to recover. "Any perturbation has the potential to have catastrophic consequences," said Raymond. On the other hand, the ties that bind in biological soil crusts do point, more positively, to how organisms can cooperate to turn a wasteland into an oasis. Environments that scientists would expect to be sterile often astonish us with the lengths to which their denizens go to survive. 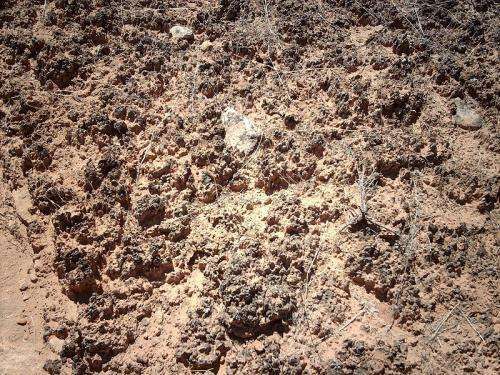 And as in the case of biological soil crusts, surprising complexity can arise in some of the harshest places. The same paradigm probably holds true for other worlds with conditions that look abjectly dismal for life. "One of the things that constantly surprises me is, wherever people seem to go on the planet, there's life," said Raymond. "Anywhere we go on Earth, life has figured out a way to penetrate that niche and take advantage of some aspect of that environment." Accordingly, Raymond thinks that because defining habitability is proving so slippery, astrobiologists might want to take the opposite approach in setting out the parameters of clear inhabitability. "We're trying to find examples of the most extreme environments we can on Earth," said Raymond. "We're trying to get into places where biology runs headlong into the inorganic part of the Earth, where any nutrient you want to pick up you've got to get from a rock or the atmosphere." Essentially, if life can make it there, in these places on Earth, it might just make it anywhere.